Prairie Trail Elementary Watch D.O.G.S. : Prairie Trail Elementary Watch D.O.G.S. Prairie Trail Elementary Watch D.O.G.S. 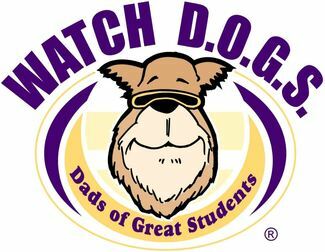 This is the sign up site for Watch D.O.G.S. at Prairie Trail Elementary School in Flower Mound, TX. PLEASE READ ALL INFORMATION BELOW BEFORE SCHEDULING A VOLUNTEER DAY. Choose no more than 2 days to volunteer in order to make space for all the Dads that want to participate. IF YOU HAVE MORE THAN ONE STUDENT...YOU MAY ONLY WORK IN ONE CHILD'S CLASS PER DAY. If you have more than 2 students and would like to work a day with each...let us know and we can make an exception. You will have the opportunity to add the selected date to your calendar. The sign up site will send you a reminder a few days beforehand but be sure you have your own reminders set as well. You can order a Watch D.O.G.S. T Shirt from the dog store. http://dogstore2.fathers.com You can also borrow one from the school. If you borrow one...please take it home, wash it and return it the next morning before school for others to use. On your volunteer day...please arrive no later than 7:20 am to check in at the office. They will give you instructions on where to be and when. Your first duties will be in the drop-off lines to help keep traffic moving and kids safe. You will then participate in morning announcements with your student. The office will let you know your schedule beyond that. Remember...Don't be alone with a student. Don't enter student bathrooms. Don't use this time as a parent/teacher conference. Respect student and teacher privacy by not sharing behavioral observations. Don't second guess the disciplinary or educational methods of the teacher. You may not know the details or understand the reasons for the methods. You know what appropriate behavior, dress, language and attitude looks like. If in doubt...don't do it, say it or wear it. Speaking of Clothes...wear comfortable shoes. Jeans are OK.
Feel free to send questions to ptewatchdogs@gmail.com.